Dr. Bhadresh Makani completed his initial dental training from Russia where he received Doctor of Stomatology. After moving to the United States, he pursued a Masters degree in Healthcare Administration from University of Houston – Clear Lake and enhanced his understanding of the US healthcare system. Dr. Makani attended the Advanced Standing program from New York University College of Dentistry where he earned his Doctor of Dental Surgery (DDS) and got extensive training in various aspects of dentistry. Dr. Makani has been involved in the field of dentistry for over 9 years. He has provided dental care in various dental setups including high volume hospitals and private practices. He educates and urges his patients to take part in the decision-making process to fully understand all the available treatment options. This enables his patients to make informed decision and receive the highest quality of care with value and choice. 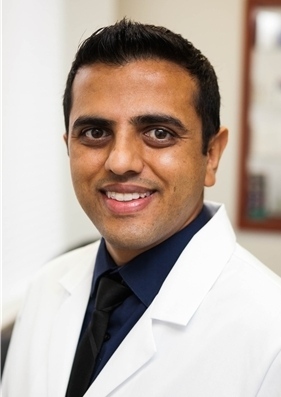 Dr. Makani is a strong promoter of minimally invasive and evidence based dentistry. He has a wide range of experience in every aspect of general dentistry including root canal therapy, advanced extractions, implants, dentures, implant-supported dentures, crowns and bridges, cosmetic dentistry, tooth-colored fillings, Laser dentistry, Invisalign-Orthodontics, etc. Most of his patients are so enthusiastic about his way of providing dental treatment that they often refer their family, friends and neighbors. He believes in keeping himself updated and acquainted with latest dental technologies and treatment modalities. As a part of it, he takes frequent continuing education courses and other certifications throughout the year. His involvement and affiliations with American Dental Association (ADA), Academy of General Dentistry (AGD), Pennsylvania state dental association (PDA), International Congress of Oral Implantologists (ICOI) and Dental society of Chester and Delaware County keeps him knowledgeable on the latest techniques and technology in dentistry which allows him to provide better care to his patients. Dr. Makani is proficient in English and Russian languages. He enjoys watching movies, spending time with family in his free time and follow different sports.